For decades, legacy NDT best practices and historical data have determined how and when parts are tested to identify defects and potential failure. However, monumental insights cannot be made from historical data alone. PCRT adds a whole new chapter to big data collected on parts, gathering far more than prescribed parameters. 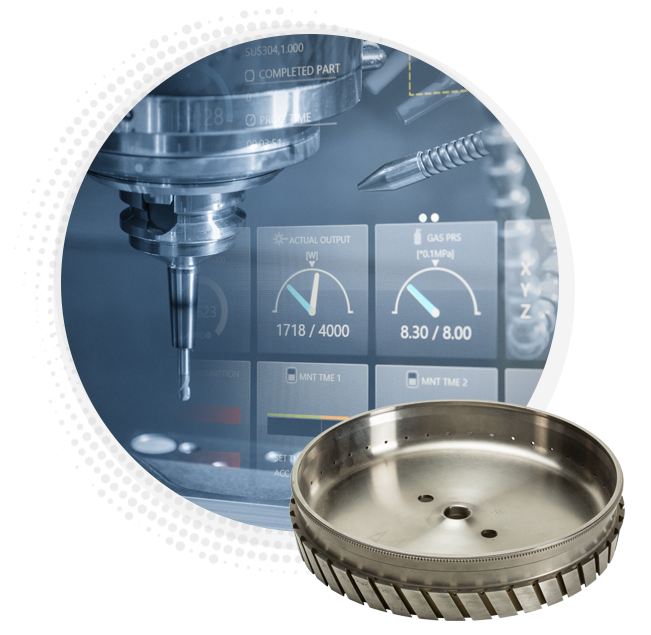 As Vibrant’s technology collects and measures data from parts over time, manufacturers and operators are able to better understand aspects and attributes of parts not previously possible. By combining part manufacturing data (chemistry, temperatures, etc.) and in-service operating data (environmental conditions, hours in service, etc.) with PCRT data, much more accurate predictions and understanding of the part’s integrity become possible. Vibrant’s contribution influences parts on the most basic level – how they are designed and manufactured to extend life and reliability – helping operators make powerful cases for extending OEM life limits on parts. As customers demand lower costs and higher reliability, Vibrant technology provides the supporting data and evidence to deliver. Vibrant’s progressive technology provides the support needed to drive change in overall maintenance practices. With the data and evidence available from PCRT, operators can confidently move toward a condition-based maintenance program, specifically tailored to the individual parts’ conditions, and move away from an inefficient and often costly scheduled maintenance program. Through using PCRT, OEMs and part manufacturers add a new level of information not previously gathered as they strive to design stronger, more reliable parts. Tying PCRT-gathered data on material properties and stresses together with design, engineers better understand subtle differences that can make or break a part’s success as well as the effects of usage throughout the part’s life. The end result is a better part, from birth to end of life. Contact us today to learn how PCRT can support more successful part design, manufacturing and life limits.